I’ve had my Instant Pot for good amount of time now… enough time to completely change the way that I cook! I really haven’t found one recipe to fail me in the instant pot! It’s all about exploring the various recipes that others have tried and liked. Steamed eggs in the instant pot are probably my favorite thing ever because I’ve always had problems with peeling eggs in the past. Now the egg shells peel off like a dream… I’ll have more on that later. 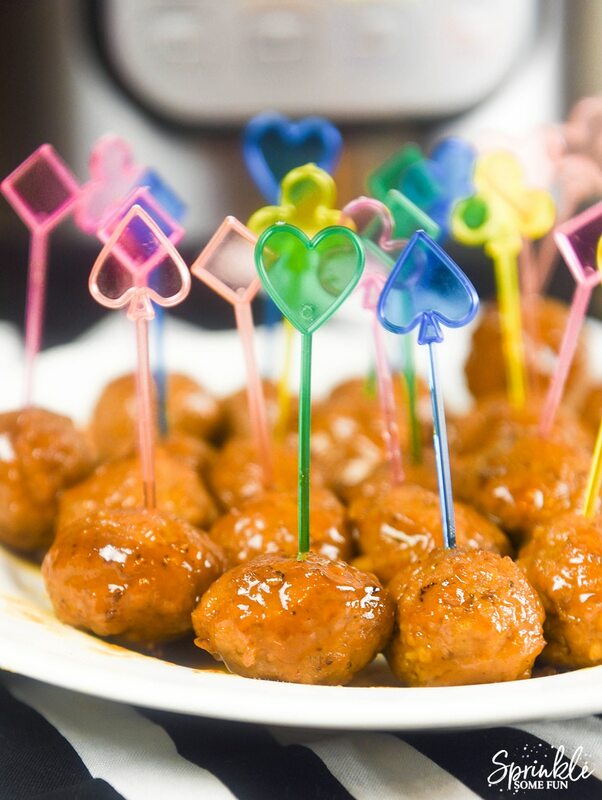 I’ve also been experimenting with recipes of my own and these Barbecue Orange Meatballs are now a new favorite of ours! 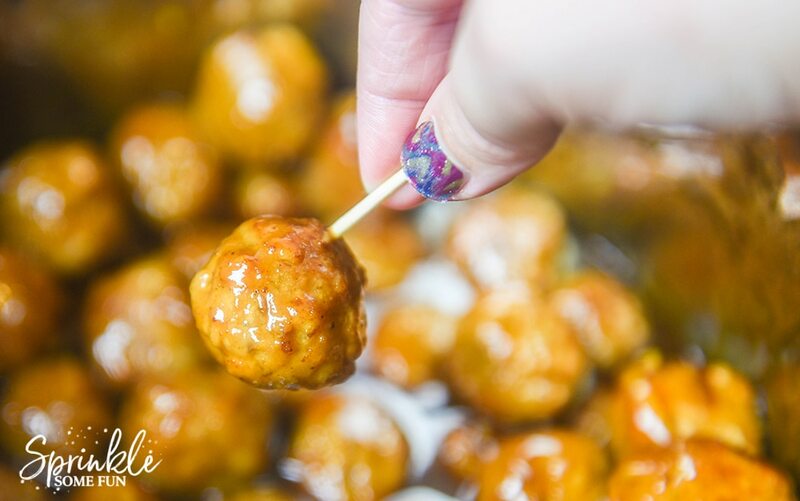 Barbecue Orange Meatballs are quick to make and are the perfect appetizer! The tangy, sweet and smoky glaze will be a new favorite hit at any party. 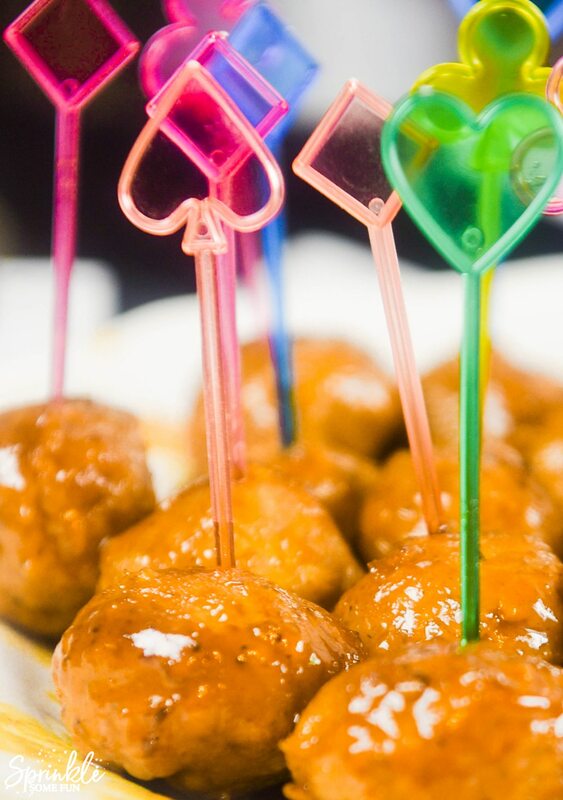 The Barbecue Orange Meatballs take around 10 minutes to cook up in all. Once the cooking is finished place the instant pot on warm and they can simmer for a couple of hours. The glaze gets better with time… so your party guests will enjoy them throughout the party. 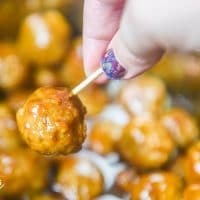 These Barbecue Orange Meatballs can also be made in a crockpot and I am including those directions also… since I know not everyone has an instant pot! 😉 Find an Instant Pot on Amazon (affiliate). I highly recommend it! For the Instant Pot: Use the steamer grate on the inside of the instant pot pot. Add 1 cup of water to the bottom of pot and then the meatballs on top of the grate. Add the lid and steam for 5 minutes (using the steam button- not pressure) and use the quick release. Drain the water and take out the steamer grate from pot. 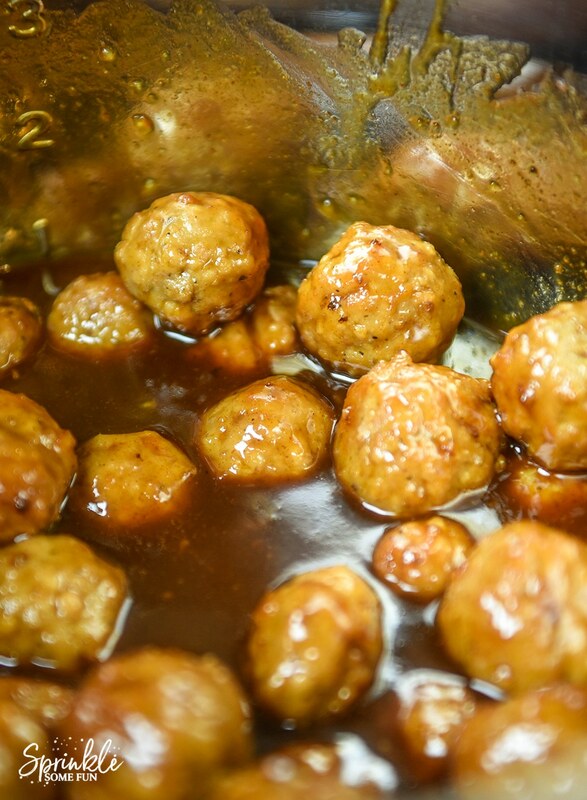 Add meatballs back in the pot and add the rest of the ingredients. Use the sauté function for around 10 minutes or until the sauce is bubbling. Then set the instant pot to warm and leave on warm for up to 2 hours. Sauce gets better with time, but can be serve immediately after sautéing. For the Crockpot or Slow Cooker: Add all ingredients to the slow cooker and cook on high setting for 3 to 4 hours. Then change temp to keep warm and serve. Can be kept on warm setting for up to 2 hours. Can this be slow cooked on low? If so, what would be the recommended time?